M. D. Cooper is a New York Times bestselling author who has envisioned a rich future for humanity,one where planet-sized megastructures house trillions of humans, but traveling between thestars still takes decades, or even centuries. 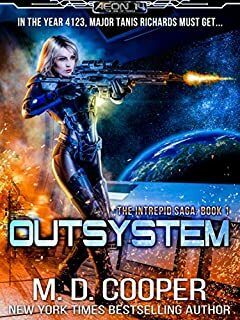 Fans of Ringworld, Honor Harrington, The Expanse, or Elizabeth Moon's Vatta's Warwill feel right at home in this, the first book of the Intrepid Saga, and the opening to the world of Aeon 14. Over the course of the next few years, M. D. Cooper plans to release an additional twenty-two books in this expandinguniverse. sp get on board the Intrepid with Tanis and see what the stars hold for us.